Valid each weekday morning that Bossier and Caddo Parish Schools are in session! Children 2 and Under are Free with a Parent Admission of $5.95. *Please note that we are still open to the general public during our Toddler Time hours, but will make every effort to protect the little ones by opening up an area of the park strictly for them, if needed. 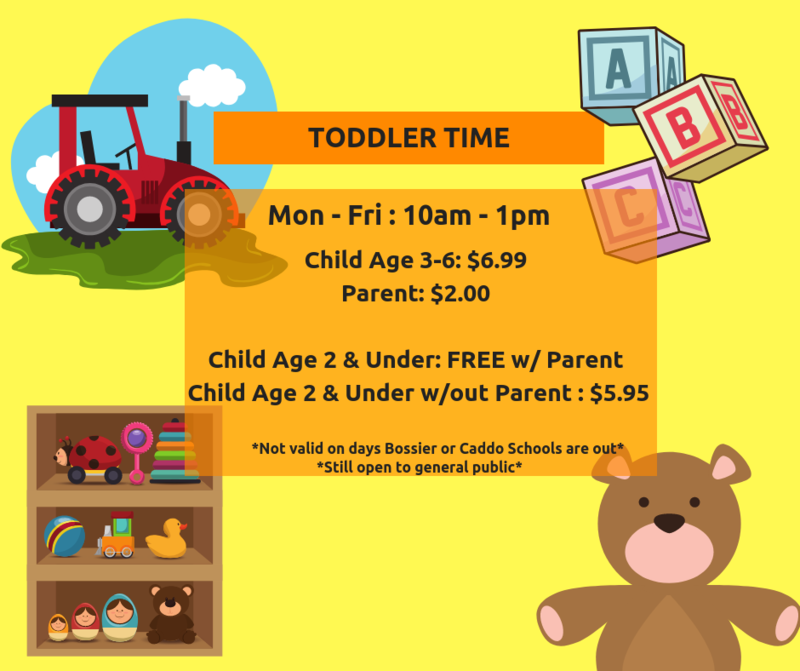 We will also post on our Facebook Page any time we have a large group that will be coming to our park during Toddler Time hours.